The book is here! The book is here! Ptolemy and I are very excited to finally hold a copy of Reversed: A Memoir...and to tell you the book will be released on THURSDAY, MARCH 15. 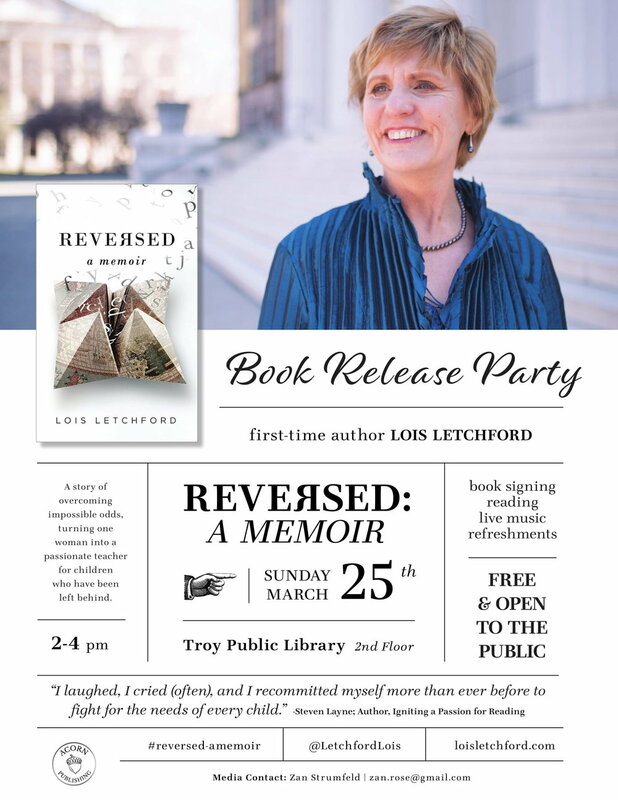 And, to kickoff the release, we're throwing a launch party at the downtown Troy Public Library on SUNDAY, MARCH 25! Ooh! I cannot wait! See you there! Newer PostHere's how to order a copy of "Reversed." Older PostI've become a voicEd Radio regular!